A harrowing account of the terrorist attack on the iconic Taj Mahal Palace Hotel in India by a group of heavily armed Pakistani militants. For 68 hours, hundreds were held hostage as shots rang out and an enormous fire raged. When the smoke cleared, more than 160 people were dead in total as a result of the attacks and many more injured. 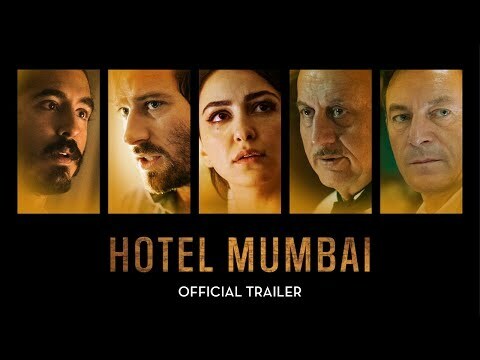 Hotel Mumbai was released on Cinema 27d ago in the US. Based on 13 Hotel Mumbai Cinema reviews, Hotel Mumbai gets an average Cinema review score of 64. The score for all versions is 64 based on a total of 13 reviews. They have a motto, “the guest is god,” and while that has heavy connotations of never-ending servitude (not super great), I think the real message here is wonderfully humane. Like rubbernecking at the scene of a global tragedy, Anthony Maras' ambitious docudrama uneasily re-creates the 2008 Mumbai attacks ... to what end? This retelling of the 2008 attack on Mumbai’s Taj Mahal Palace Hotel is an action thriller, and suffers for it.